4-part male genital insert. Supplied on base board. This unique torso depicts both the superficial and deep muscles. The two main muscles, the deltoid and gluteus maximus can be removed for closer studies. You can also study the vertebrae, the spinal cord, spinal nerves and vertebral arteries, exchange the male and female genital inserts, discover the internal structure of the brain and much more. 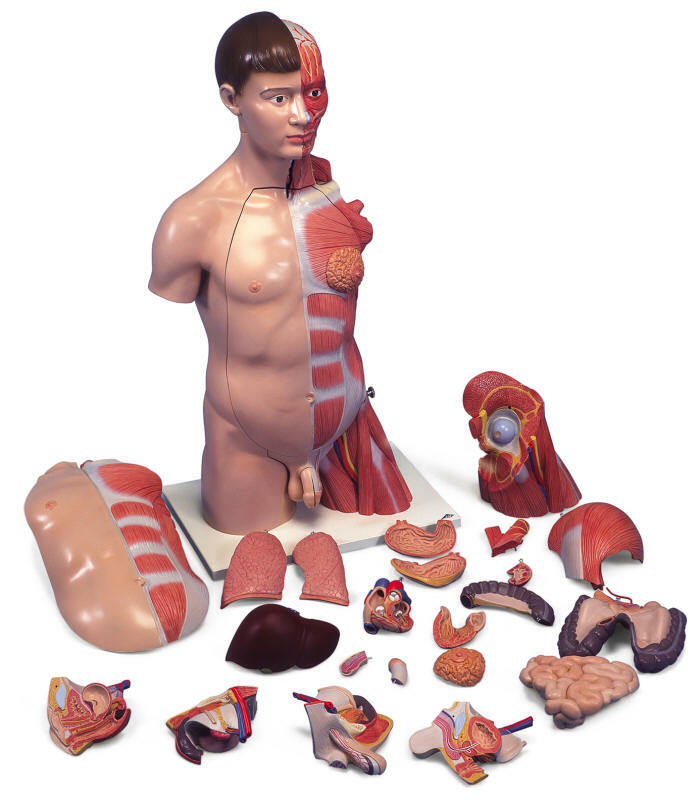 The following parts are removable: 6-part head, chest and abdominal wall with muscles, 7th thoracic vertebra, female mammary gland, gluteus maximus and deltoid muscles, 2 lungs, 2-part heart, 2-part stomach, liver with gall bladder, 4-part intestinal tract, front half of kidney, 3-part female genital insert with embryo, 4-part male genital insert. Supplied with guide. 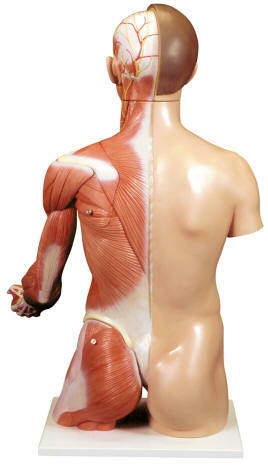 This life-size muscle torso is designed to meet your high demands by showing the deep and superficial muscles in great anatomical detail. 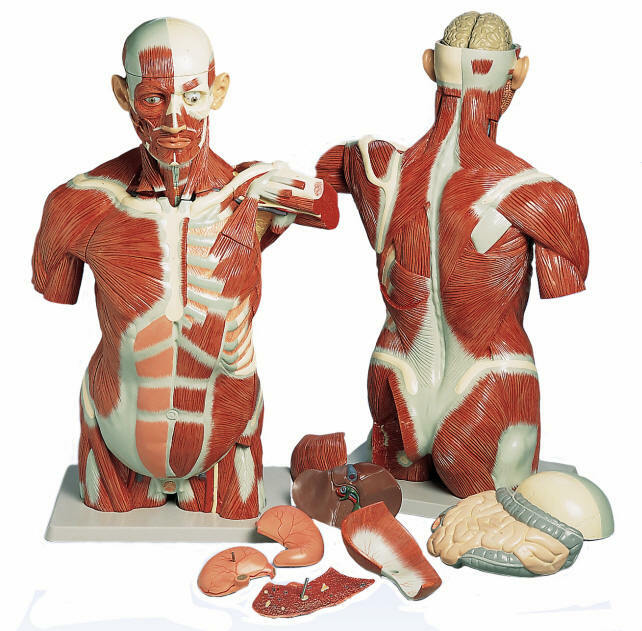 With the muscle torsos extraordinary accuracy and life size presence, this muscular masterpiece is a distinctive aid for anatomic demonstrations even in large lecture halls. The following parts can be removed from the muscle torso for detailed studies of human anatomy and muscular system: skull cap, 6-part brain, eyeball with optic nerve, chest/abdominal wall, 2-part larynx, 2 lungs, 2-part heart, diaphragm, 2-part stomach, liver with gall bladder, complete intestinal tract with appendix, front half of kidney, half urinary bladder, and 4 muscles. Supplied on base.